Being from Atlanta, there is a Chick-Fil-A on every corner and it is the thing I miss the most in Nashville. 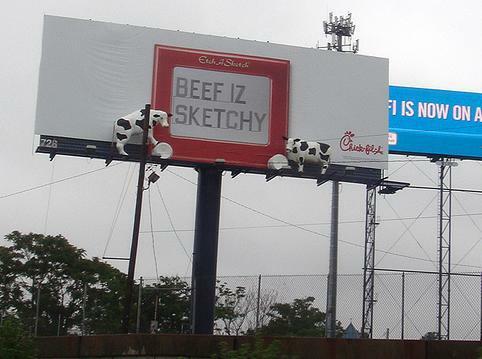 Chick-Fil-A also has one of the best billboard campaigns and I look forward to seeing new ones as I drive into town. This is the newest one I’ve seen and I think it’s my favorite yet. Categories: Fun Friday | Tags: billboards, chick-fil-a | Permalink.